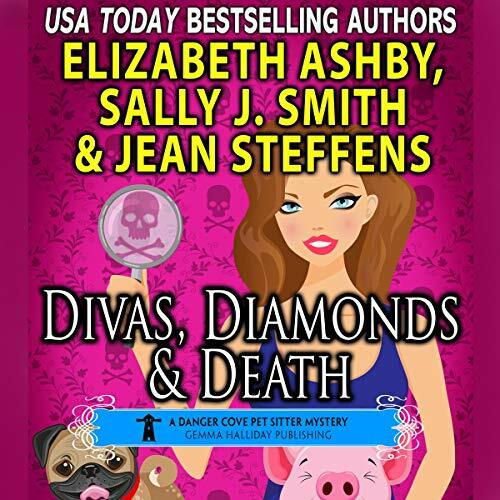 From USA Today best-selling authors Sally J. Smith, Jean Steffens, and Elizabeth Ashby comes the latest Lizzie Jones adventure! This little piggy went to market. This little piggy stayed home. And this little piggy got kidnapped, and her diamond collar was swiped, and then there was a murder and false accusations…and…and…oh my goodness! Pet Sitter turned sleuth Lizzie Jones is excited about the upcoming Second Chance Animal Rescue fundraiser. The celebrity draw, Sabrina Ramirez, is a pet psychic famous for her TV show The Critter Communicator. Sabrina arrives with her entourage that includes Rosie, an adorable teacup pig that Sabrina treats like royalty, Sabrina's buff bodyguard, her devoted nephew, and unexpectedly, her estranged ex-husband. When Sabrina needs a pet sitter Lizzie is thrilled to take on the job. That is until the little piglet is pignapped on Lizzie's watch - along with her diamond collar! But things go from bad to worse when the fundraiser turns deadly and Lizzie's granddad is high on the murder suspect list. Lizzie jumps headlong into clearing her granddad's name and finding the pignapper and the killer. Are they one and the same, or is she looking for two separate types of swine? And will she find them first... or will the killer be the one frying Lizzie's bacon?